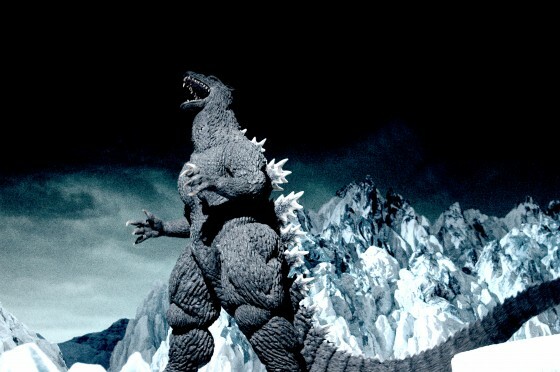 Tokunation › Godzilla › TOHO Announces New Godzilla Writer & Director! 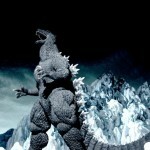 TOHO Announces New Godzilla Writer & Director! *The film will be written by Hideaki Anno, a long-time animator best known for the series Neon Genesis Evangalion. *The film’s director (and special effects expert) is Shinji Higuchi, a veteran of several previous project- including the 1990’s GAMERA trilogy. The new Godzilla film is currently scheduled for release in 2016. Stay tuned to TokuNation for further details! Discuss on the Tokunation Forums› Views: 1688 › Credit: CinemaJapan; AnimeNewsNetwork. It looks like they�ve announced Shinji Higuchi is directing a new Godzilla movie, who�ll also be in charge of special effects, supervised by Hideaki Anno (the creator of the Evangelion series), who�s writing the script. Article reports filming in starting this Autumn and it�s scheduled to be in cinemas Summer 2016. It looks like that this is legit and not a April Fools joke. I'm very surprise to hear this news. so no word yet on if godzilla will be by himself or be fighting someone? I would imagine that they would use a original new monster if Legendary is using the classic monsters for the sequels. So, the end of the movie will just be cheap hand puppets, then? A reminder that Shinji Higuchi and Hideaki Anno gave us THIS. (First link I could find.) Making a Godzilla movie is pretty much Anno's dream so this is pretty exciting. Not excited about Anno on it at all. If any of you think this is at all a bad thing, go and Google his "Giant God Warrior Appears in Tokyo" short and reflect on your comment. Having Anno on a Godzilla film is nowhere near a bad thing. Anno made a pretty long post explaining why he took the offer to work on the new Godzilla movie. Anno is a big Toku fan. He loves Ultraman and it's cool to see that he still watches Sentai regularly. It would be cool if Anno ever directed a Ultraman, Sentai or Rider show in the near future. I'm sorry, but all I think of is Evangelion. I know he has done other works, but I just picture the next movie featuring the main character masturbating over the main female while whining about his father and Godzilla shows up 2 hours into the movie for a 45 second fight sequence. It will then end with a clip show of what happened at the start of the movie. Now please, do not take that post literally.